At the end of 2009 when the Obama Administration came out with the Open Government Directive (which I wrote about at the time) I had some conversations with other consultants and thinkers in the nonprofit technology world about the idea of an “Open Nonprofit Directive” that would, in many ways, mirror the OGD. 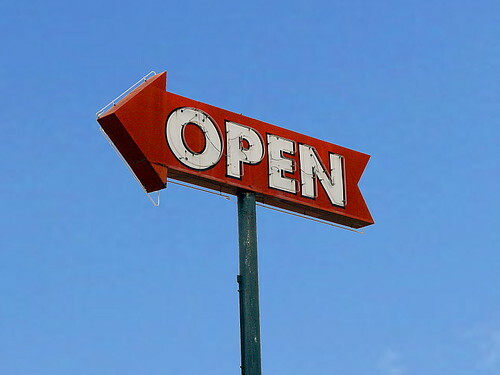 Two years have passed, and in the prognostications for the year ahead I’ve seen a number of references to “opening up” and increasing transparency in the nonprofit sector. Once again I am left thinking it is time for an Open Nonprofit Directive. Transparency. Organizations should provide the public with information about what the organization is doing so that the organization can be held accountable. Participation. Organizations should actively solicit expertise from outside of the organization so that they make the most efficient use of the funds entrusted to them. Collaboration. Organizations should work together with one another and with the public as part of doing their job of solving the problems, addressing the issues, or providing the services they are formed to work on. Among the suggestions that the article offers to move toward a more open existence are: updating your 990 Listing in Guidestar, discussing your organization’s needs openly on your website, discuss your failures in addition to your successes. Those suggestions speak to the Transparency issue to which I would add: make all data your organization collects available to public via your website (ideally from a page “/open”). We have seen in the last two years the many unexpected ways that data, made available to the public, can be used creatively. How much data is locked away within nonprofit organizations? Participation and collaboration are also key. The problems facing humanity today are manifold and great. We will need to work together to solve them (we hear this line all the time). But there is a yawning gulf between saying “We need to work together to solve our many problems,” and actually working together to solve our many problems. As I wrote about in December, we don’t need more new nonprofit organizations, organizations need to look at working together more effectively and harnessing the expertise and skills of people outside their walls. We are constantly making decisions that either move us towards being more open, or more closed. How will your organization be more open in 2012?